It was a crazy busy week for us. After such a busy week, I am even more thankful for our quiet, simple lifestyle. I especially missed our normal routine and will be very happy to get back to our normal schedule next week. We celebrated Father's Day this year with a practical gift and a few of my husband's favorite things. 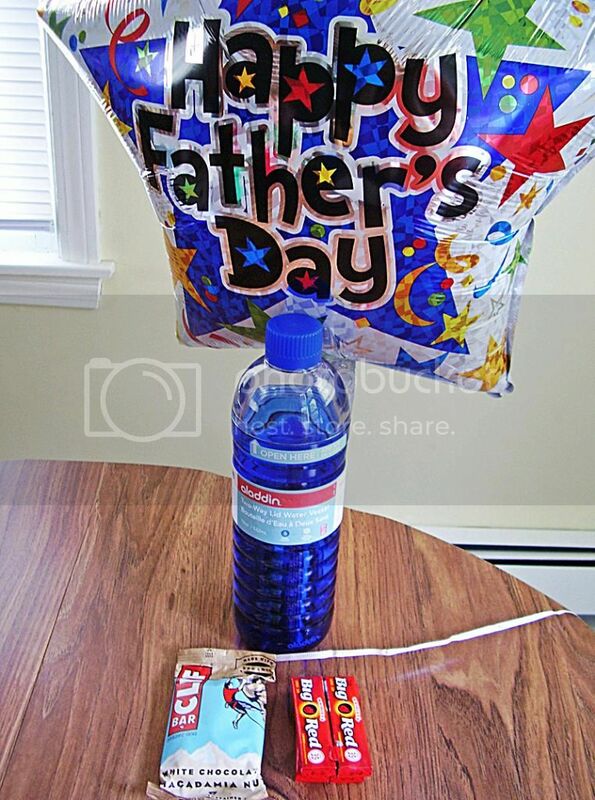 The boys made sure that they got to pick out a Father's Day balloon. They love picking out balloons from the Dollar Tree on special occasions. I think they like playing with them more then giving them. The boys went with their dad to hike Bald Mountain. 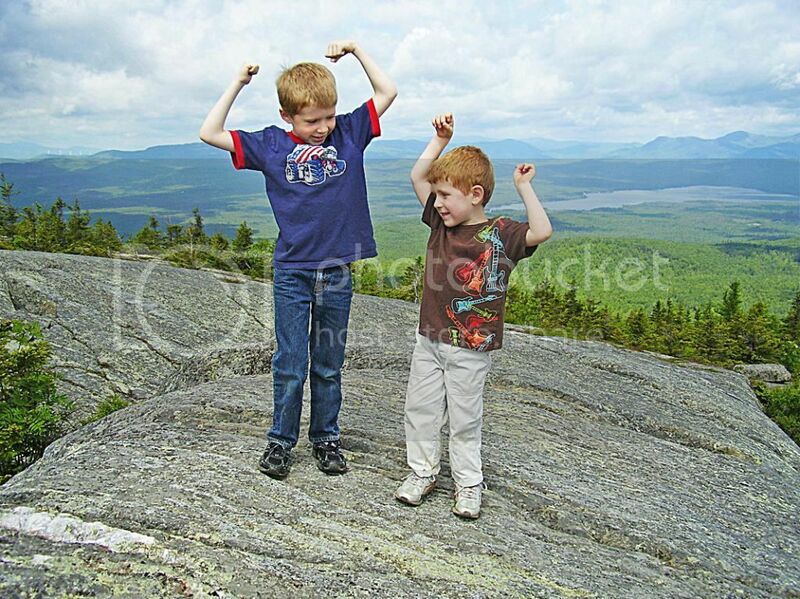 They had quite a celebration when they reached the top. We signed up for the free summer reading program at the library. They had a wonderful opening night with an entertainer who did several magic tricks for the kids. They had a great time. I raked up more grass clippings for the garden. I was very excited to get my first free issue of All You magazine that I ordered with Recyclebank Points. I bought bread at the bread store for $.67 per loaf and used coupons to get shampoo for $.54. 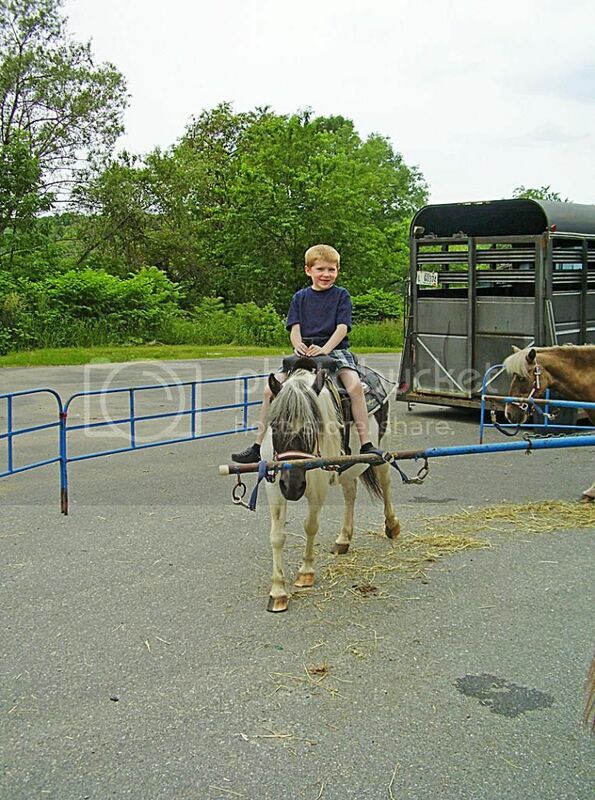 A nearby town hosted a summer celebration and one of the local businesses sponsored a free petting zoo and pony rides. Our older son enjoyed his first ride on a pony. We really did. We had a great week, but I'm looking forward to some down time this week!